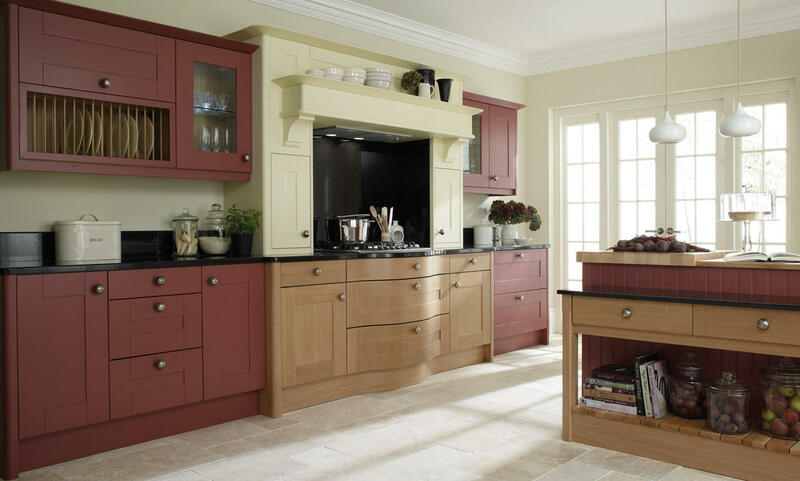 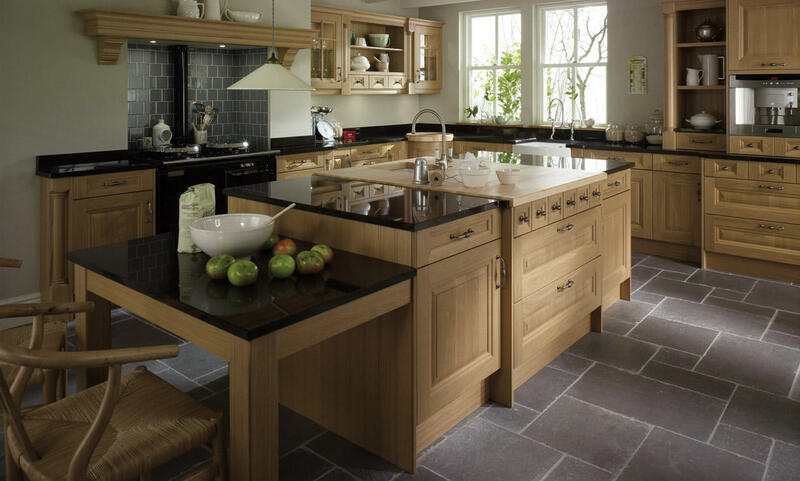 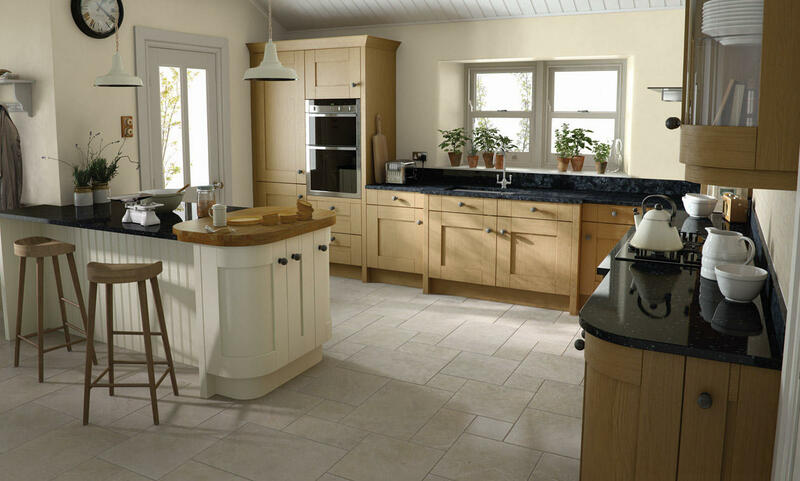 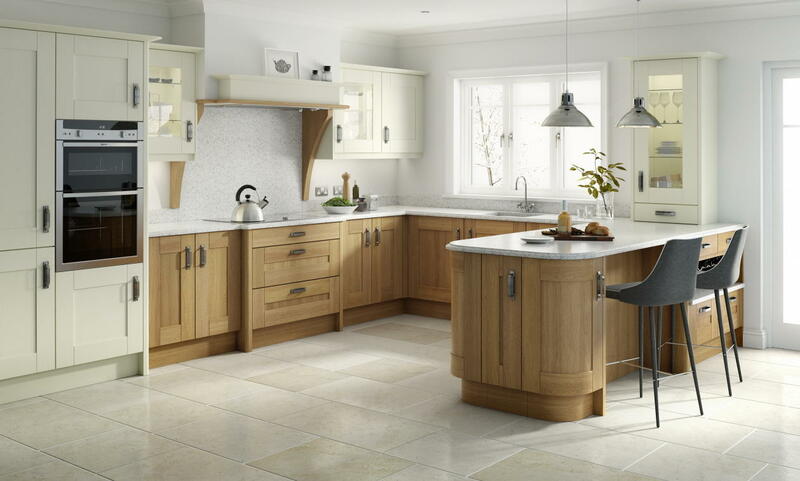 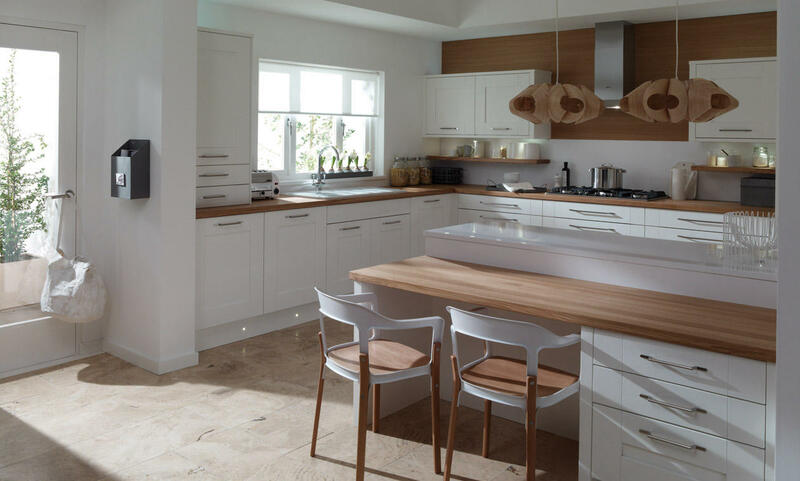 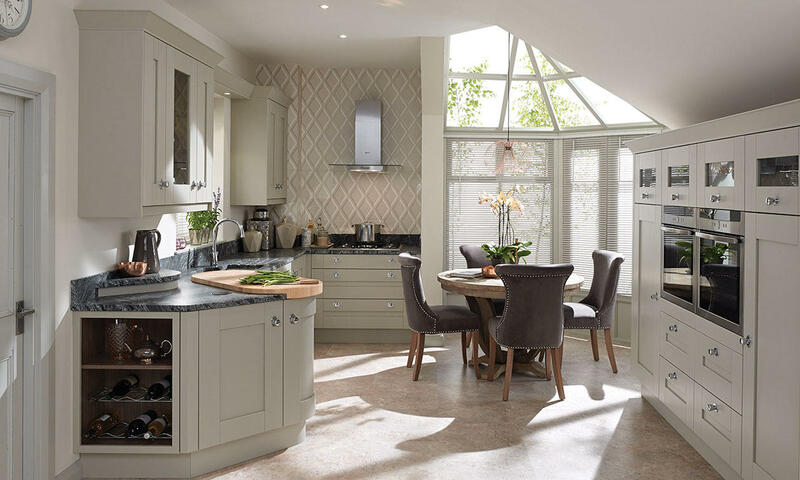 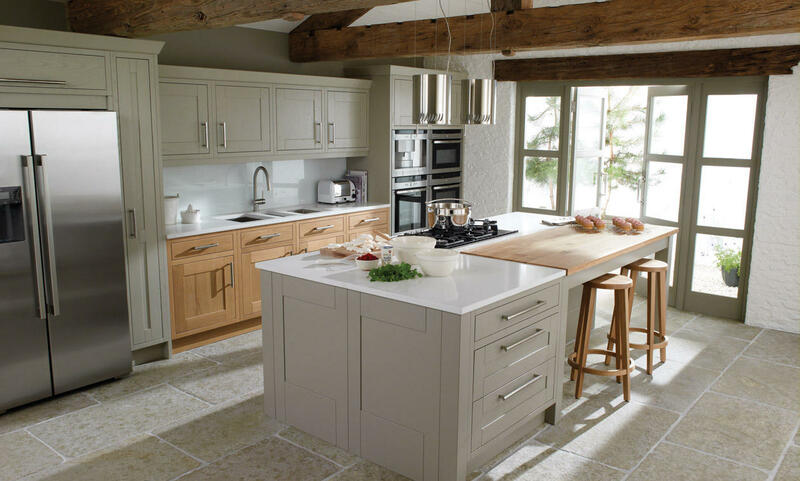 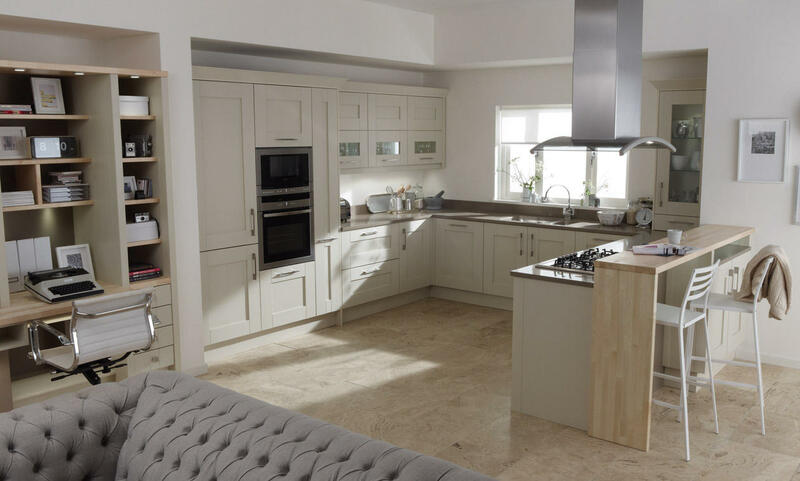 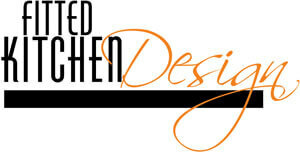 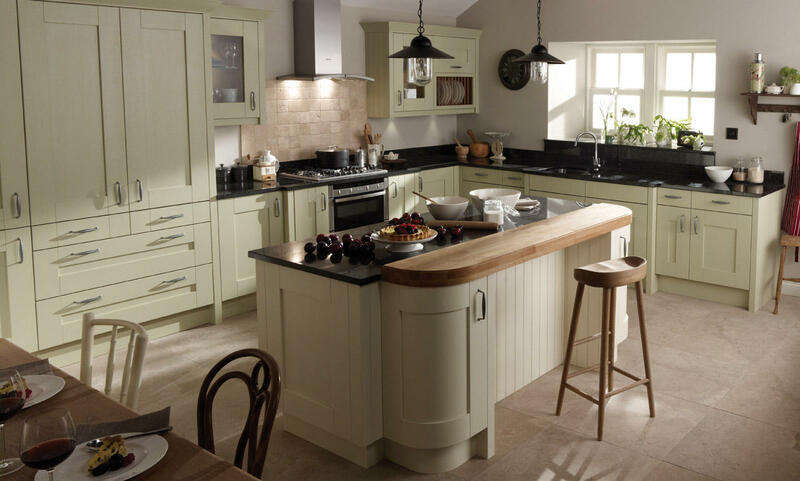 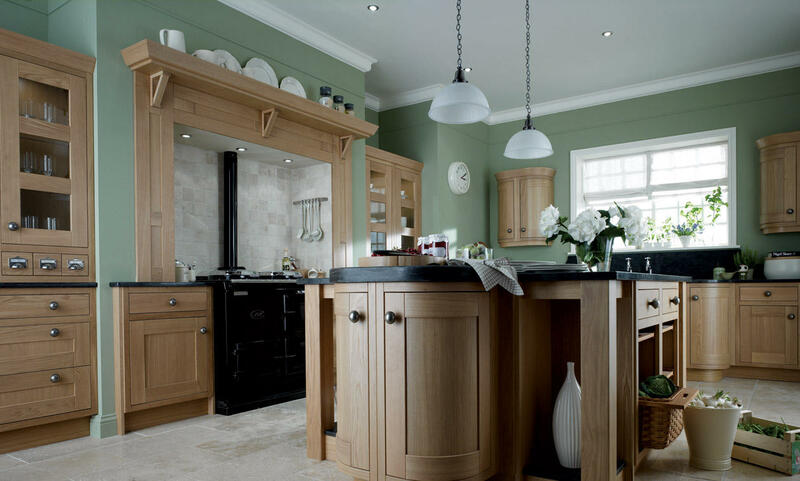 Our popular Broadoak shaker design shown in the painted stone finish. 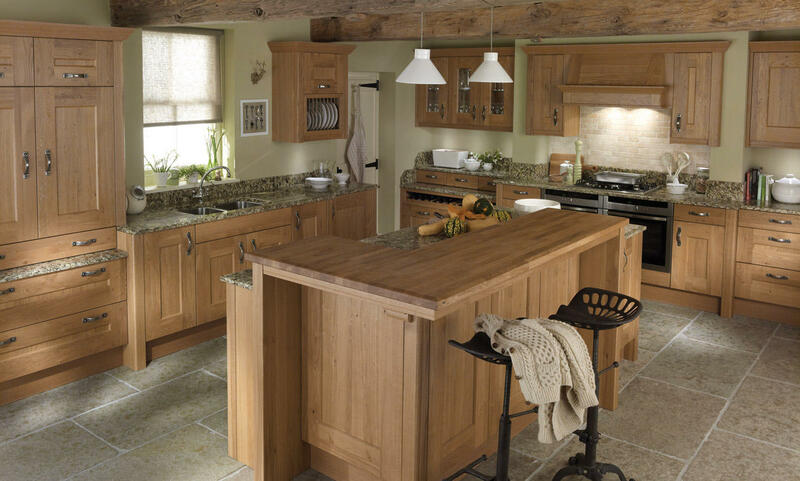 Lyndon's knotty oak finish says country living in an instant. 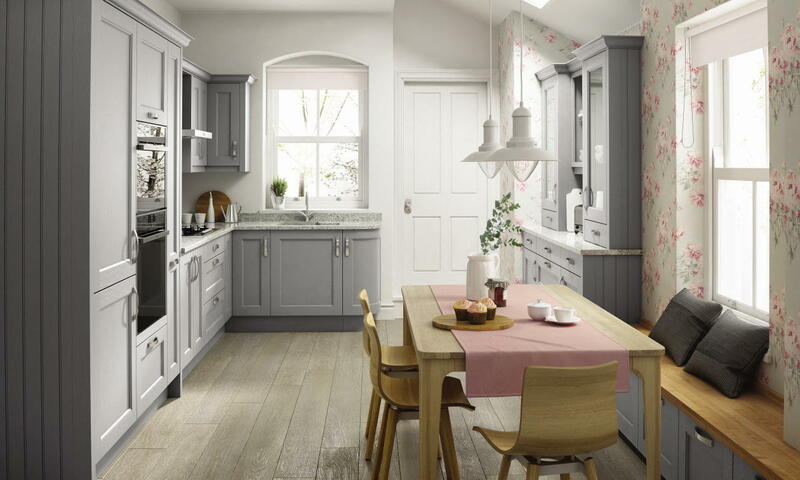 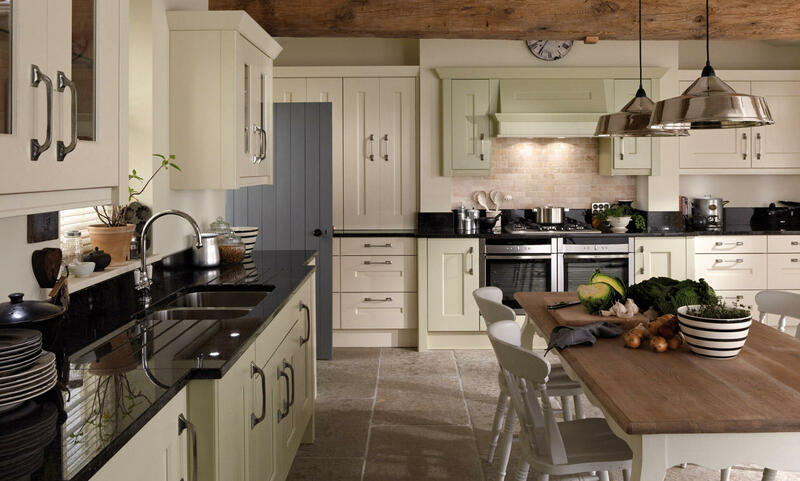 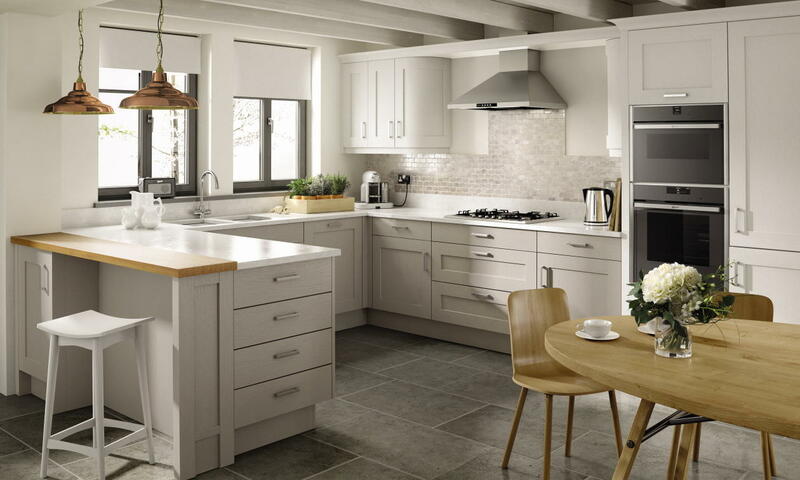 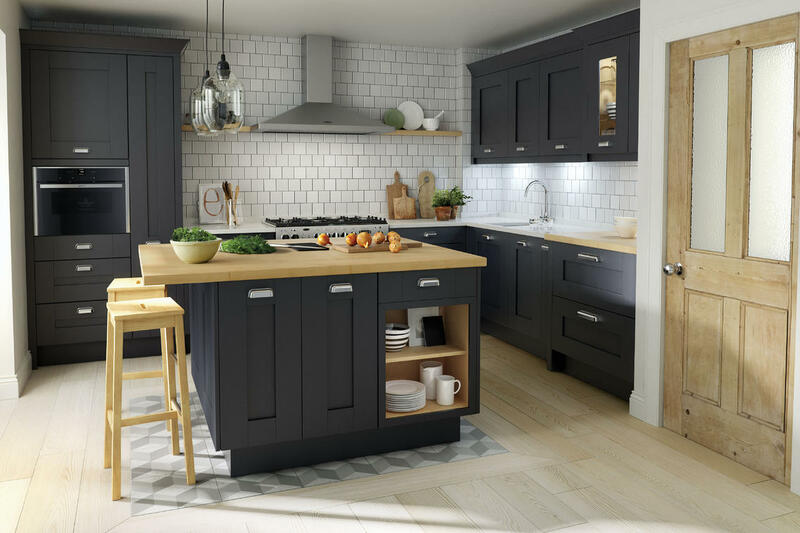 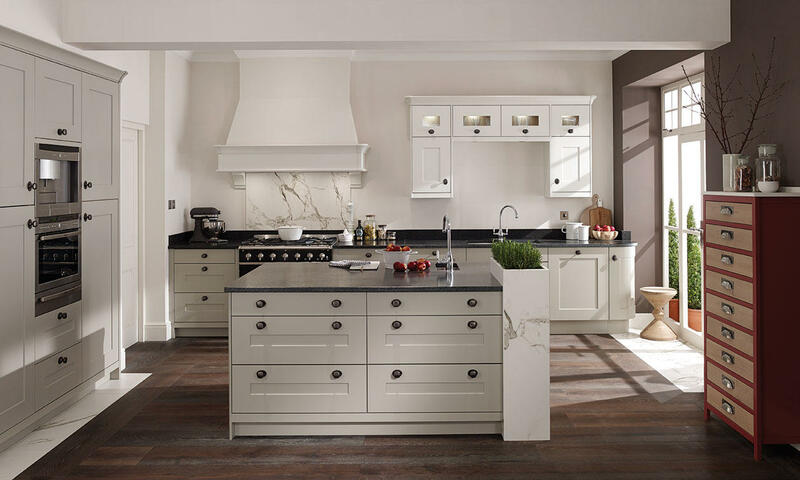 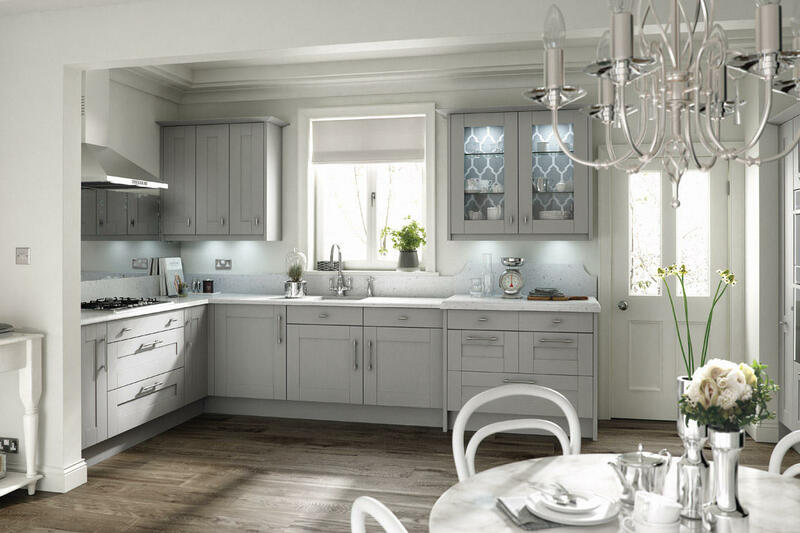 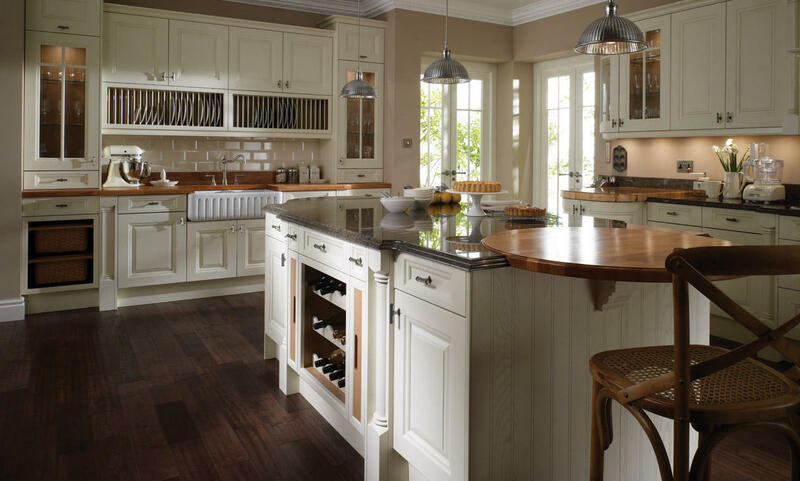 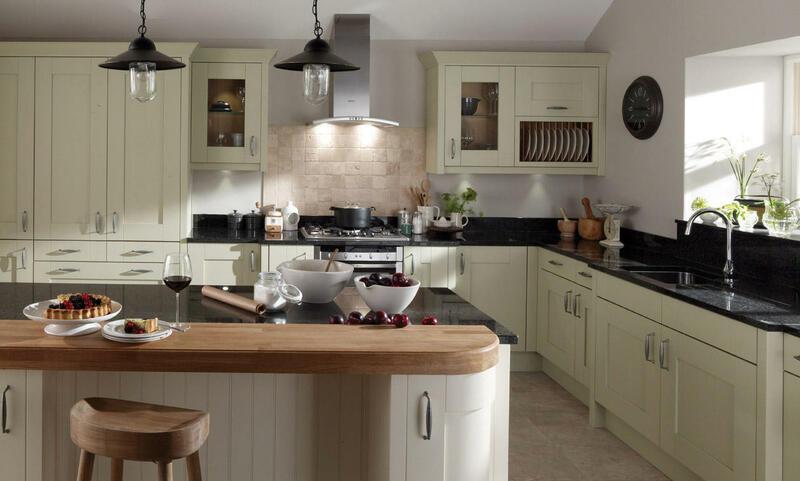 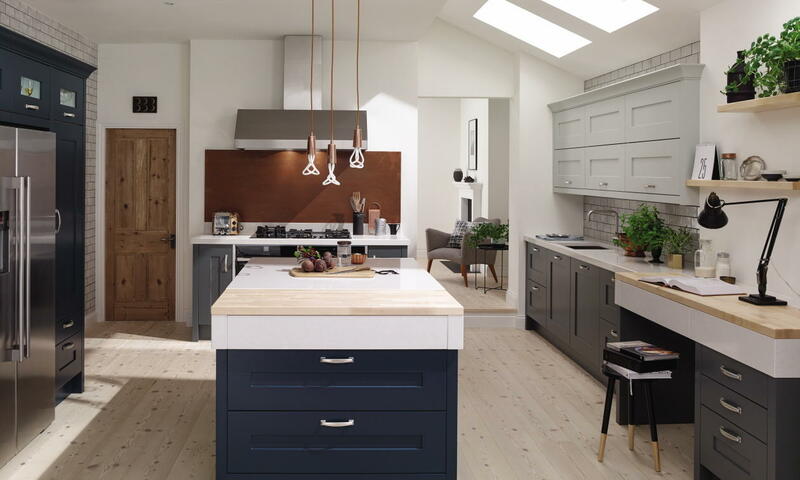 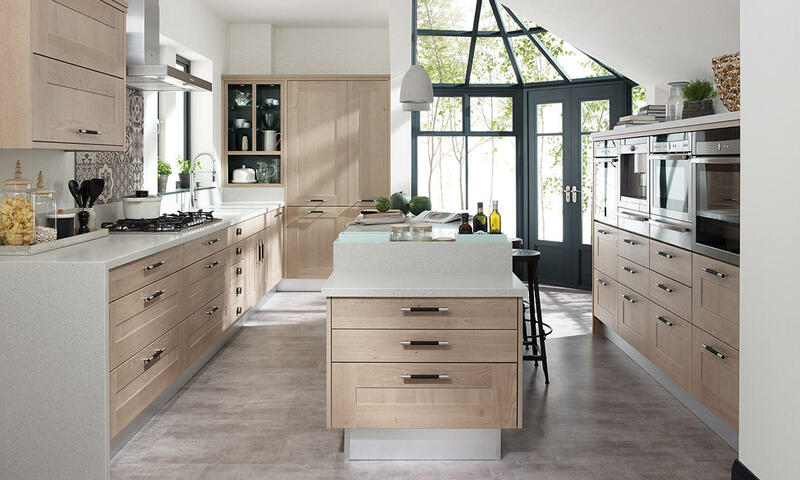 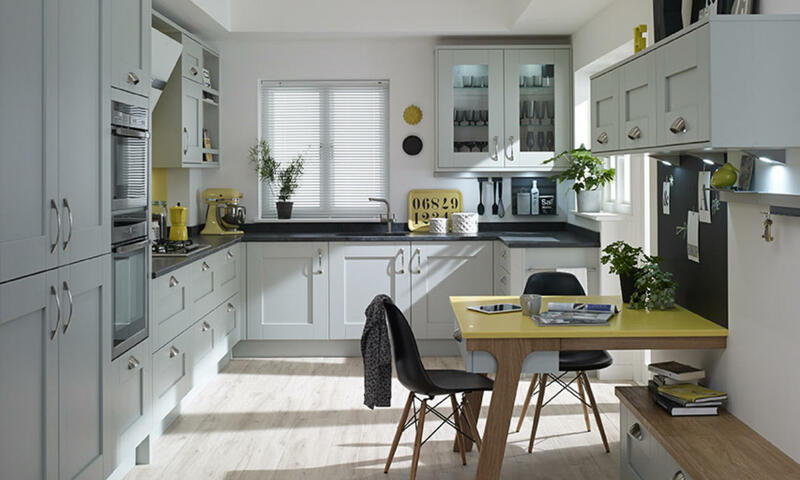 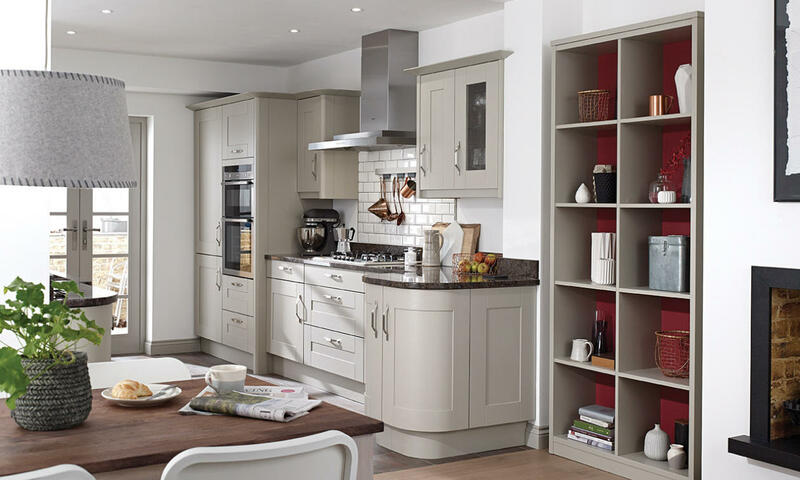 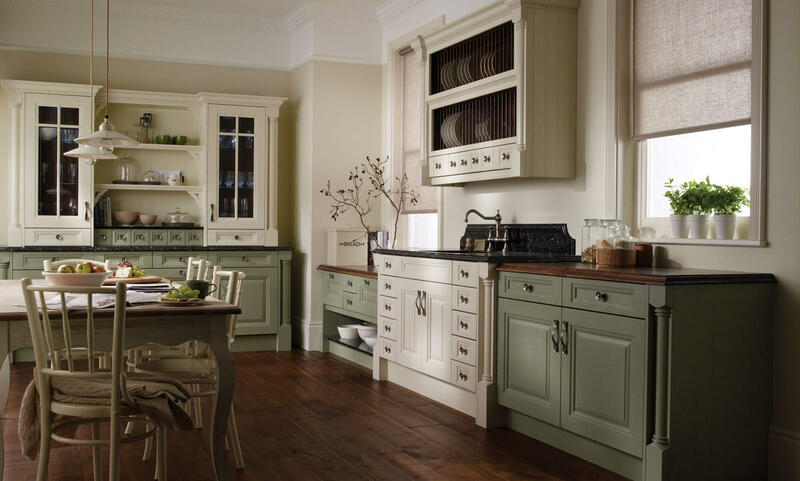 The Shaker doors' wide rails and pewter handles create a cosy feel.